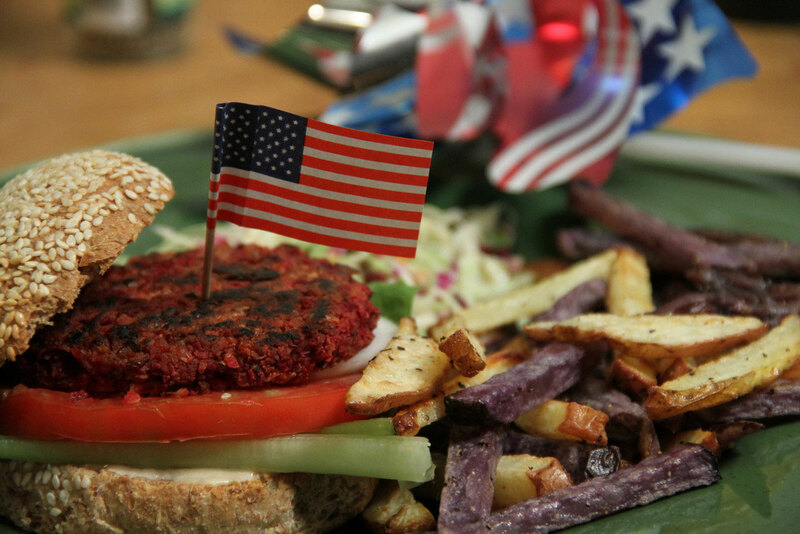 We had some beet burgers in the freezer, so I decided to be a little patriotic with our dinner. The CSA had blessed us with both blue potatoes, which we love, and white potatoes. It’s pretty obvious what was going to happen, isn’t it? There was really nothing to this dinner – the burgers were just reheated and the fries were really simple too. I just tossed them with olive oil, garlic salt and black pepper before baking them until crispy. I just really like how colorful it all was. We also had some slaw, because, well, all that cabbage!